It is in 1838 pennies Louis Philippe, that Pascal DARTIGALONGUE originating in Saint Lannes close to Madiran settled in Nogaro in the Gers and founded its House of trade of Armagnac which is still ours. 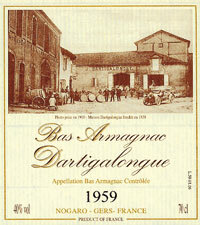 In 1969, Pierre Dartigalongue installed its distilling with Salles d ' Armagnac. Since, five generations followed one another to ensure and perennialize “the oldest house of the Armagnac”. Producer, distiller and stockbreeder, installed in the area of best believed of this brandy seven times centenary, Dartigalongue is specialized in the very old Bas Armagnacs, products selected and matured according to the ancestral tradition. It offers this single Eau de Vie, declined in credits or vintages, in luxurious and personalized presentations. The house holds in its old original wine storehouses a very important range of old Armagnacs Millésimés, growing old and improving in barrels in oak of the country under the permanent control of the Master of wine storehouse which supervises the evolution and carries out of it various handling of transfer and ventilation. 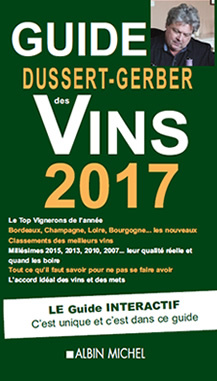 In addition, following meticulous research and tastings, certain vintages are assembled in order to create “special vintages” giving rise to traditional assemblies such V.S.O.P., OUT OF OLD, or to “15 YEARS of OLD”,” 25 YEARS”…, thus to celebrate the 170ème birthday of the creation of the house an exceptional assembly of 70% of 1974 and 30% of 1976, was carried out under the denomination Cuvée Louis-Philippe 42%,70 Cl. (Carafe) (king of the French in 1838). Remarkable Bas-Armagnac Cuvée Louis-Philippe (70% of 1974 and 30% of 1976), with the nuances of rancio and spices, very floral, at the same time dry and suave, very persistent with the palate. Also discover this 25 years Bas-Armagnac, assembly of several Armagnac of which young person is at least 25 years old, elegant, with these cocoa and dry fig connotations, slightly fume, of a great consistency in mouth, very scented (nut, prune), of a long final. As of its exit of the still, the eau de vie colorless and of a crystal limpidity is placed out of barrels of oak called “pièces”, of a capacity of 400 liters. Subjected time the proof, the Eau de Vie sommeille of many years in our wine storehouses. The tannic matters, under the influence of time, marry with the liquid; an evaporation occurs “the share of the Angels” the eau de vie is coloured, its aroma develops.